Austec Dry Stripping commenced trading twenty five years ago and the business was the first in its field in New South Wales to offer plastic media blasting to their clients. 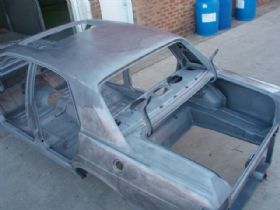 The company specialises in Automotive and Industrial stripping. George and Enzo run the business and with backgrounds in auto engineering, coach building and paint and panel they are well placed to offer professional advice on the best stripping methods for specific jobs. The business employs three staff and has two booths catering for a variety of applications. The first booth is large measuring ten metres long by ten metres high and six metres wide. In this booth they can cater for trucks, boats and most over sized projects. 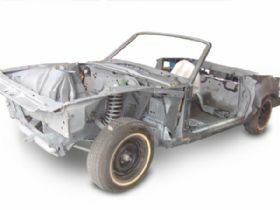 The second booth is mainly for automotive stripping and is similar in size to a large garage. The booths are vented, fully sealed and separate. 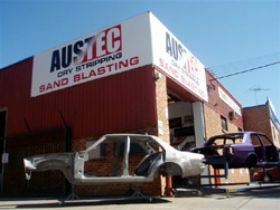 The stripping services provided by Austec Dry Stripping cover the entire range of blasting media. They offer soda blasting, crushed walnut shell, garnet, metal shot and Aerolite plastic beads and each media type offers a range of finishes suitable for various applications. 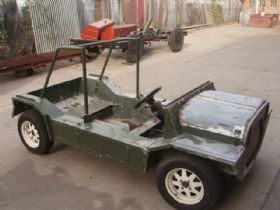 They offer professional stripping for all automotive, aircraft, glass etching, furniture and marine applications and they can also provide a powder coating service. 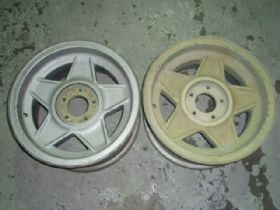 A good example for bead blasting is magnesium wheels and parts which must retain the magnesium dichromate seal so that the paint wont be affected. Austec Dry Stripping can remove the paint and not shift the dichromate (the yellow coating) as can be seen in the photo, using plastic media at around 20psi. 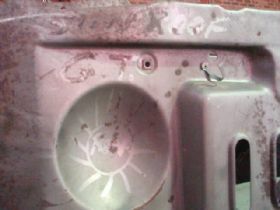 Another positive aspect with bead blasting is it keeps the original factory crayon marks on a body shell as they were. Soda blasting is the current flavour in the market and is suited to removing paint from surfaces with no prior damage, filler or rust. It is not as effective at removing thick primer and body fillers as other methods and due to the small nozzle required the coverage area is small and the result can be inconsistent. 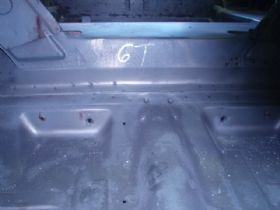 Garnet blasting is thorough and will remove paint, body filler and rust but care and patience is required for automotive applications as this or other high pressure abrasives can warp panels out of shape, cause pitting and will remove all of the metals protective coatings, such as galvanisation. One of the biggest problems is the metal becomes hardened, making it difficult to work with. On a positive note Garnet blasting is the only method that removes rust so at Austec Dry Stripping it is used only on specific rust areas. Crushed walnut shell does a great job as well, but when it impacts the panel or surface it turns to dust, therefore the only way to keep the job consistent is to increase the pressure. 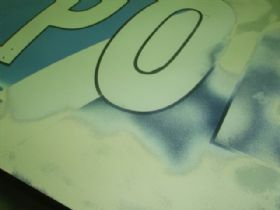 The advantage in using this media is lost because increased pressure can damage some surfaces. For those tough industrial stripping jobs where the metal is thick and you dont need to factor in any potential damage metal shot will provide the right professional finish. 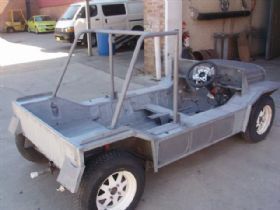 Over the years they have seen all sorts of classics come through the doors of the workshop and have worked on trucks, helicopters, industrial equipment and boats and through their consultative approach have determined with the clients the best approach to tackle a range of surfaces including metal, galvanised metal, fibreglass, alloys, aluminium, carbon fibre and composites. 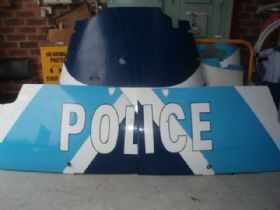 Some of the more unusual projects they have worked on include Police helicopters, a fibreglass Daimler, Corvettes, an aluminium bodied Rolls Royce and an alloy bodied Aston Martin DB6. 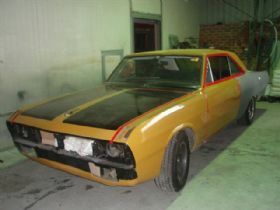 Between the father and son team they own a number of classics including local muscle cars, Italian and German marques. They are currently members of a number of car clubs including the local Ferrari, Alfa and Mercedes clubs. The team at Austec Dry Stripping can advise clients on the ideal blasting media for their project and can offer a full range of products ensuring the ideal finish. Being coach builders by trade with a metal work background is a crucial advantage, as many others in the sandblasting industry are unfamiliar in working with metal once it has been blasted with certain abrasives. With decades of experience to draw upon you can be assured you will impressed by the finished job. If you have a project that requires stripping, no matter what it is, the team at Austec Dry Stripping will gladly discuss your requirements with you and offer the right professional advice to ensure you have the finish you require. They can be contacted on (02) 9755 2044 Monday to Friday from 6.30am through to 3.30pm or Saturday by appointment.